When I entered the race for governor, I did so because I love the state of Maine and am tired of seeing it dragged in the wrong direction. There was never any question that it would be a tough race, but I know I have the vision, the experience and the commitment to lead Maine forward. Once I jumped to an early lead in the polls, I knew it was only a matter of time before individuals and organizations intent on re-creating the uncertainty that led to our current governor’s election three years ago would start their attacks. Already my opponents have tried to blatantly distort my support for a woman’s right to choose and my tireless commitment to our nation’s veterans. So I wasn’t surprised to learn about the whisper campaigns, insinuations and push-polls some of the people opposed to my candidacy have been using to raise questions about my personal life. They want people to question whether I am gay. That may seem like a big announcement to some people. For me, it’s just a part of who I am, as much as being a third-generation millworker or a lifelong Mainer. One thing I do know is that it has nothing to do with my ability to lead the state of Maine. Whether I was punching a time clock at Great Northern Paper Co. for 29 years, serving the people of Maine in the state Legislature, or fighting for our nation’s veterans on the Veterans’ Affairs Committee, my personal life has never factored into how I do my job. That’s certainly not going to change if I’m elected governor. While I’ve grown and evolved over the course of my career, I’ve never lost sight of where I came from. My father worked in the mill for 43 years; my grandfather before him for 40 years. I was the second of six children, and from a young age our parents instilled in us the values of hard work, integrity and honesty. Most of all, I was brought up believing you should judge a person based on the content of his or her character, not by his or her race, ethnicity, gender or sexual orientation. That’s a value I know most Mainers share. I first got into public service because the mill where I worked was polluting the Penobscot River, which ran through my hometown. I ran for the state Legislature to clean up the river, and that’s exactly what we did. Since then, I’ve devoted my career to fighting for all men and women in Maine, working across party lines to increase access to affordable health care, support our brave servicemen and women, protect American jobs and grow Maine’s economy through investment in research and development and clean, renewable energy. Growing up in a large Franco-American Catholic family, it’s never been in my nature to talk about myself. I write this now merely to let my opponents and the outside interests who fund them know that I am not ashamed of who I am. And if seeing someone from my background, in my position, openly acknowledge the fact that he’s gay makes it a little bit easier for future generations to live their lives openly and without fear, all the better. I don’t plan to make my personal life or my opponents’ personal lives an issue in this campaign. We’ve had enough negativity in our politics and too many personal attacks over the last few years. We owe it to the people of Maine to focus on how we get our state back on track. We need to create an economy that works for everyone; expand access to affordable health care; invest in our infrastructure to help Maine’s businesses, farms and fisheries expand to new markets; and ensure that all children — regardless of where they live — have access to a world-class public education. We need to remind people here and across the globe that Maine is a wonderful place to live, go to school, raise a family, start a business and retire. Now more than ever, we need a leader with the experience and temperament to bring people of different ideologies — Democrats, Republicans, independents and Greens; CEOs and labor leaders; sportsmen and conservationists — together. That’s something I’ve spent my entire career in public service doing, and it’s what I will continue to do if elected by the people of Maine to be your next governor. I plan to run a positive campaign that focuses on finding real solutions to the challenges we face, not just empty platitudes and old ideas repackaged in new rhetoric. The people of Maine deserve more than that. They deserve a governor they can be proud of. I know this campaign will not be easy. I know I can’t do it alone. But I’m confident that our collective power can overcome the rancor and divisiveness threatening to pull our state apart. And that if we move forward, together, Maine’s best days are still ahead of us. 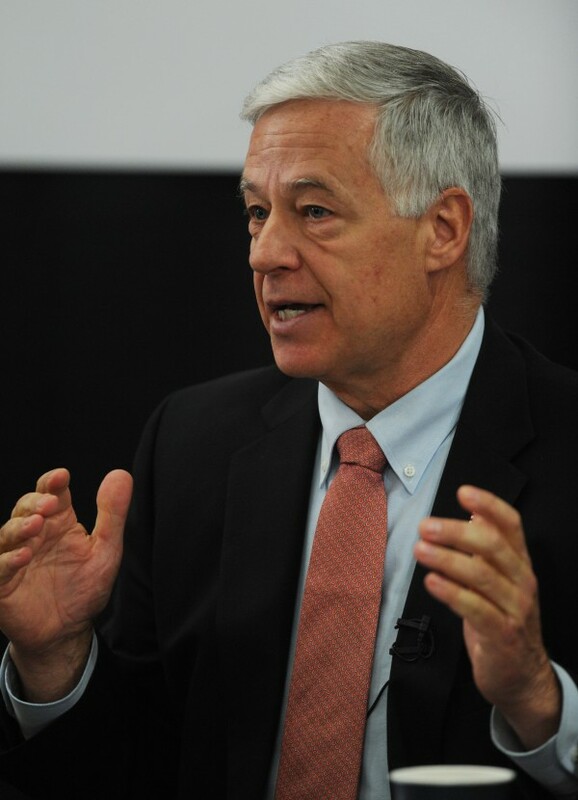 U.S. Rep. Mike Michaud represents Maine’s 2nd Congressional District. He is running for governor as a Democrat.